Borders-based Skyeman Aonghas MacNeacail, now a senior figure in Scottish literature, has been publishing poems in Gaelic and English for over forty years, and winning prizes including the Scottish Writer of the Year award for Oideachadh Ceart (A Proper Schooling) in 1997. 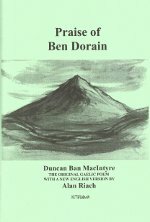 Forthcoming publications apart from this pamphlet of poems in Scots include a New and Selected edition of his Gaelic poetry and, later, a new collection of poems in English. 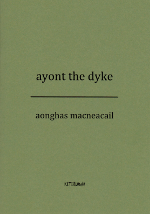 The poems in Ayont the Dyke, lyrical but challenging, carry echoes of the Scots voices of fishermen from the north-east which he heard in childhood long before he encountered spoken English. 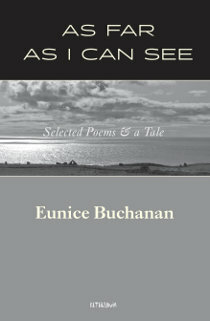 There is too in MacNeacail's work a MacDiarmid-like willingness to seek out rare, rich words and their subtle meanings, and this gives these poems both an economy and expansiveness that is fresh, stimulating and uncommon in contemporary Scots verse.